Goodreads Synopsis: Louna, daughter of famed wedding planner Natalie Barrett, has seen every sort of wedding: on the beach, at historic mansions, in fancy hotels and clubs. Perhaps that's why she's cynical about happily-ever-after endings, especially since her own first love ended tragically. When Louna meets charming, happy-go-lucky serial dater Ambrose, she holds him at arm's length. But Ambrose isn't about to be discouraged, now that he's met the one girl he really wants. I'll have to admit to being a little disappointed with this one. 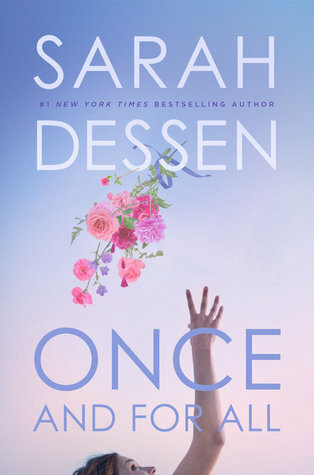 Sarah Dessen is one of my favorite authors and I've read all of her other books. She writes simple love stories, great drama, and gives all the feels. I wasn't that crazy about this story, however. Louna is, to me, a haunted character. She's got some issues that she hasn't really dealt with and that she doesn't actually talk about with others. She focuses on her work with her mom in the wedding planning business, but she isn't someone who actually believes in love. You get glimpses of her past relationship and hints about what happened to her boyfriend, but you don't get the full story until the end of the book. It's sad and Louna's behavior makes sense, but it also doesn't...if that makes sense. I liked Ambrose a lot as a character. He's goofy and weird, and seriously flirtatious. He tries so hard to be nice to Louna but she's just kind of mean, so it was strange when she realized her feelings for him. It was also a little confusing when he admits his feelings because there just wasn't a lot of instances that the two of them...felt things? I'm not sure, but I just didn't get a lot of swoony moments from these two so I wasn't sure how it all happened. I liked the story well enough and the ending was sweet. I'll always buy/read Dessen's words because she does them so well. The supporting characters are always well-rounded and fit perfectly into the story. This time it was the main character who didn't do it for me.